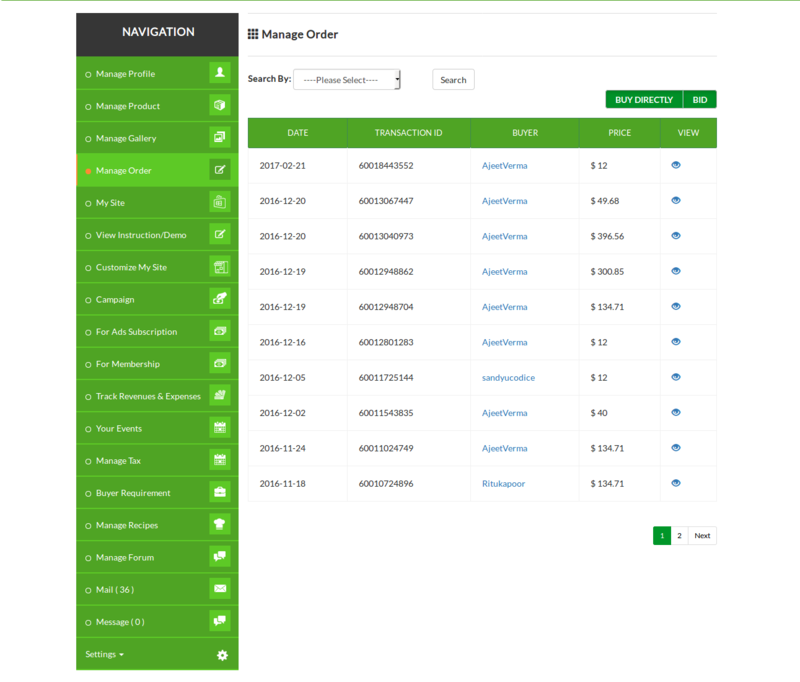 There are so many features available in the website like filtering list, manage product, manage the transaction, manage a campaign, manage recipe, manage to bid, manage review/ rating, payment system, messaging board, cart system, manage subscription, buyer dashboard, seller dashboard, social sharing etc. 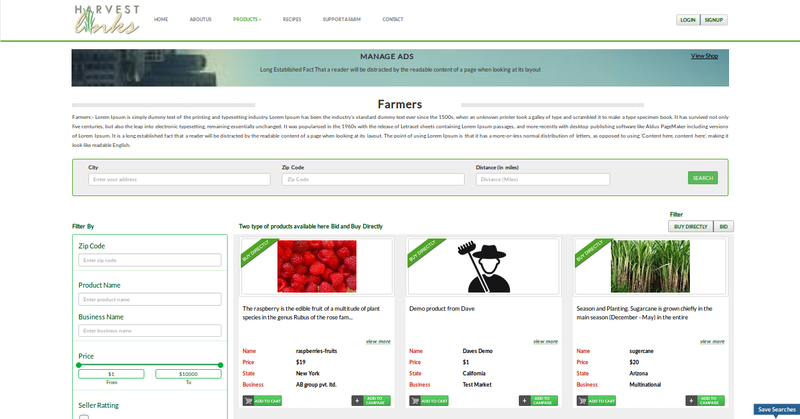 Harvest is a farmer's product company where a person can sell there product as a seller and can purchase a product as a buyer by using this wesite. 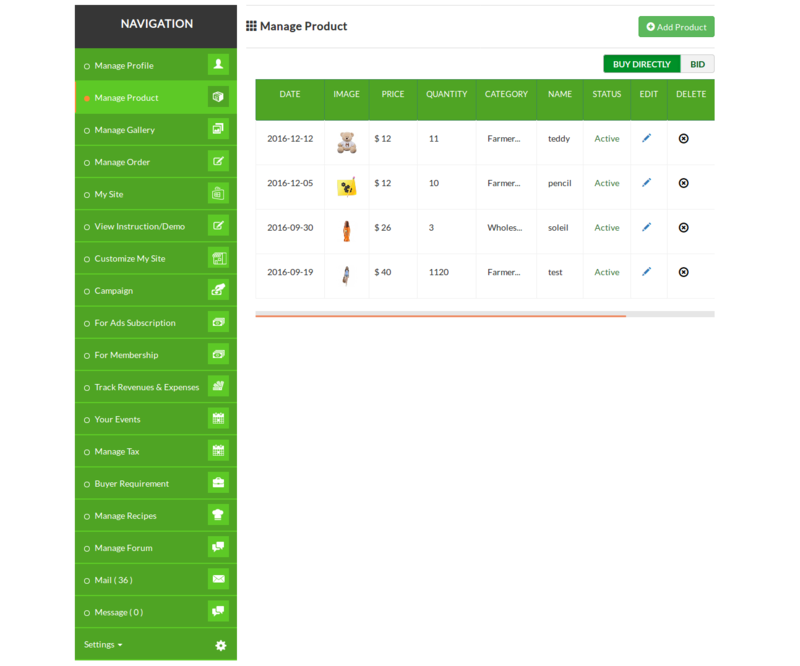 User can also view all his transaction details and order details of the product. 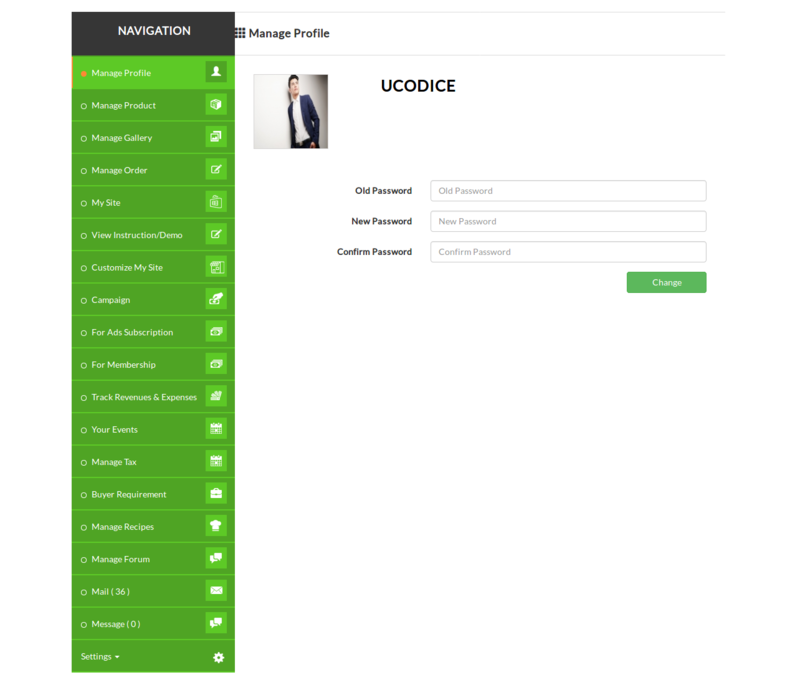 A registered user can login using their credentials. 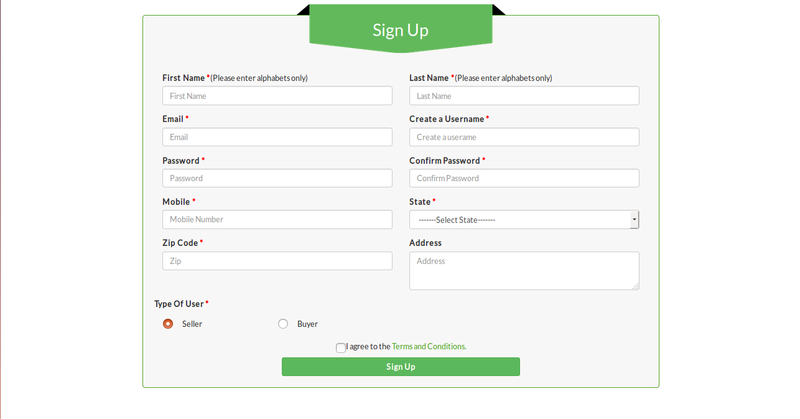 A user can signup as a seller or buyer. 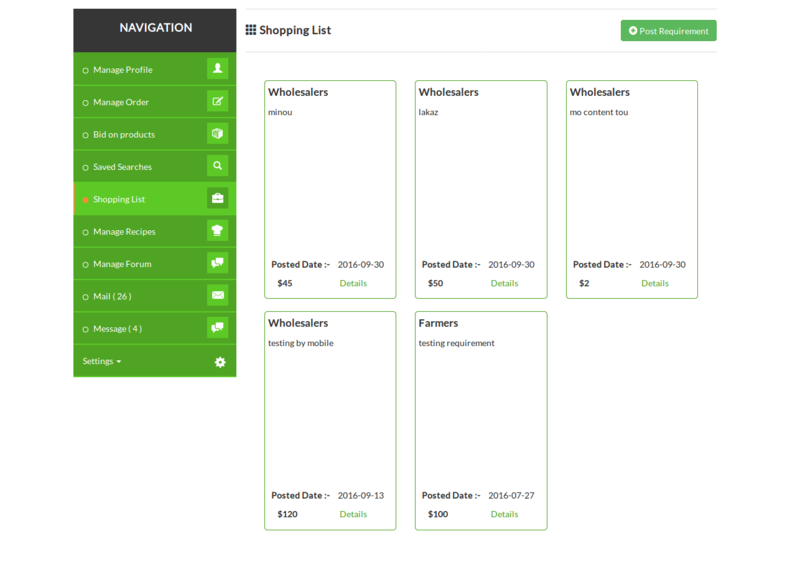 A registered user can view the products and can filter according to their requirment. A seller can manage their gallery under this section. 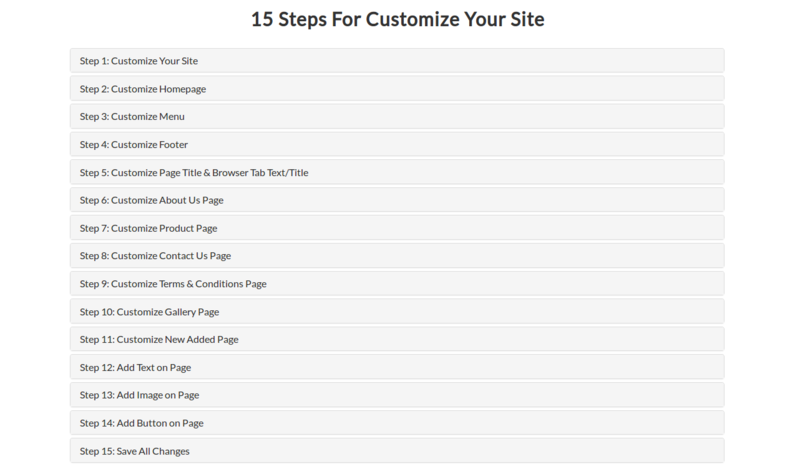 A user can view the instructions in form of steps to customize the site. 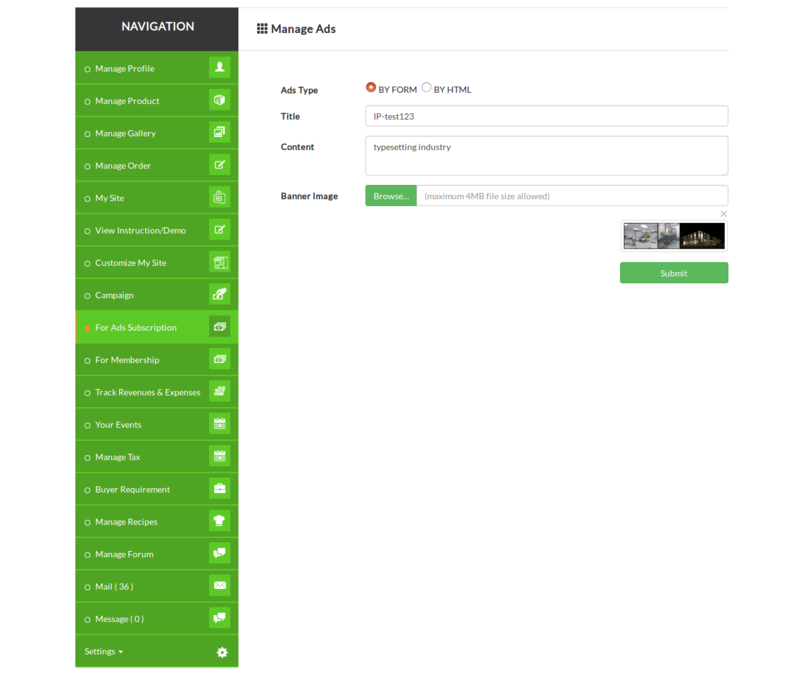 A user can customize their site. A seller can manage the campaign. 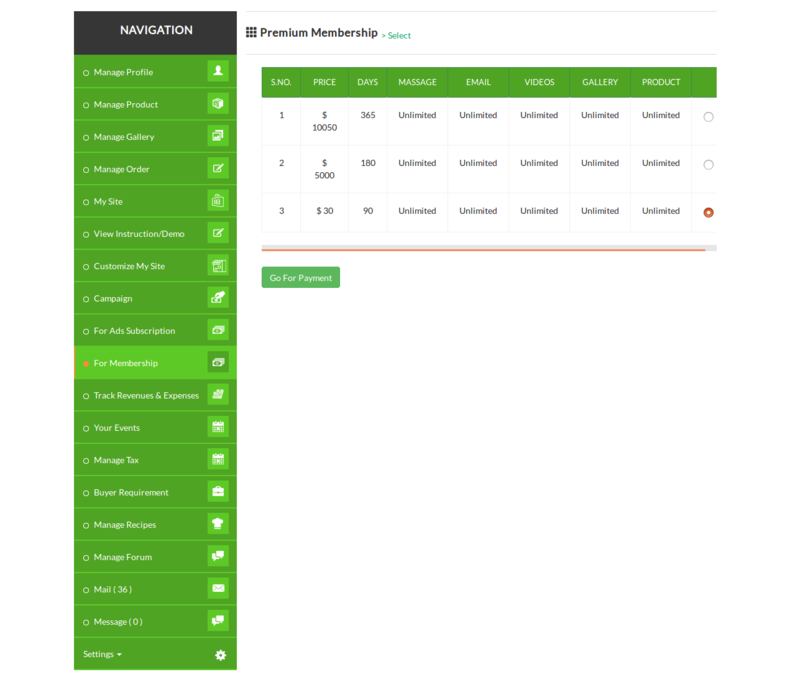 A user needs to purchase the premium membership to enjoy unlimited and uninterrupted services of the website. 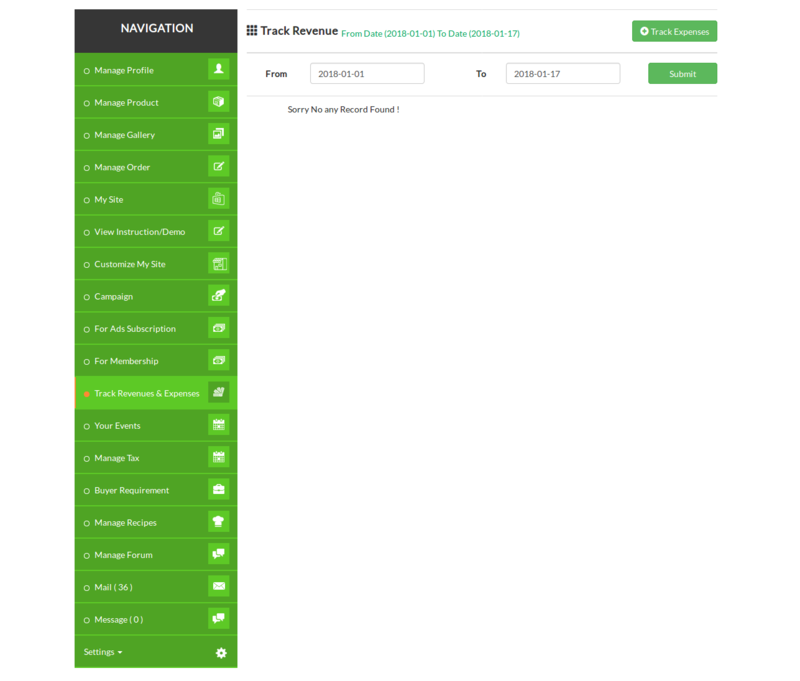 A seller can track the revenue from this section. A seller can manage the events from this section. A seller can manage the tax from this section. 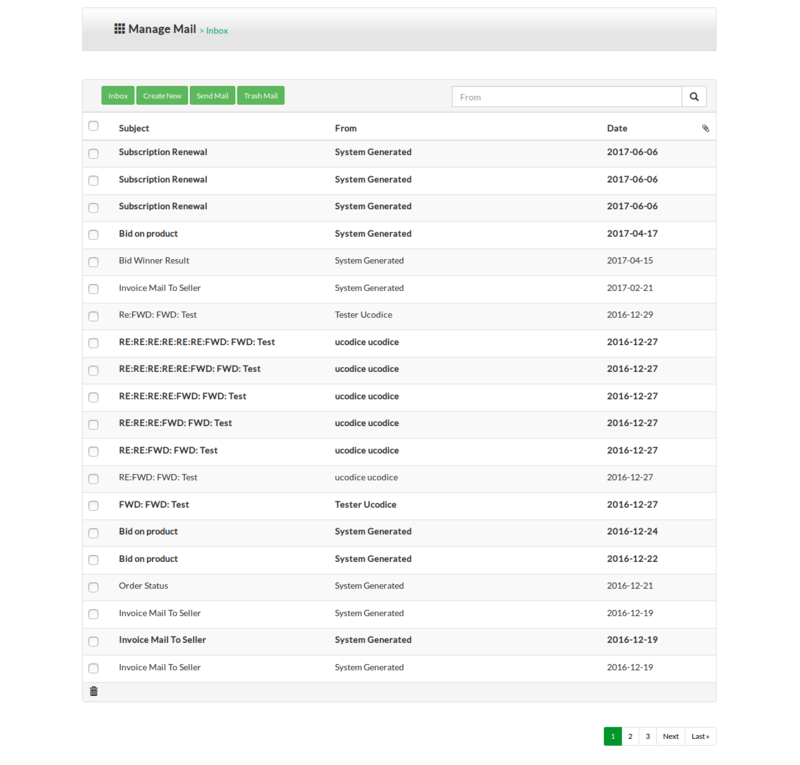 A user can send and receive email from any registered user. 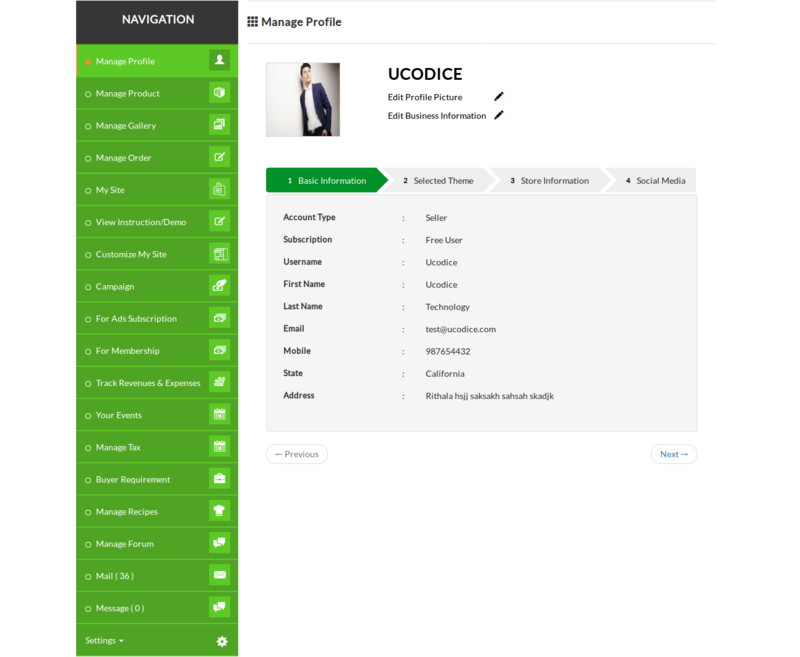 A user can do chat with other registered user. 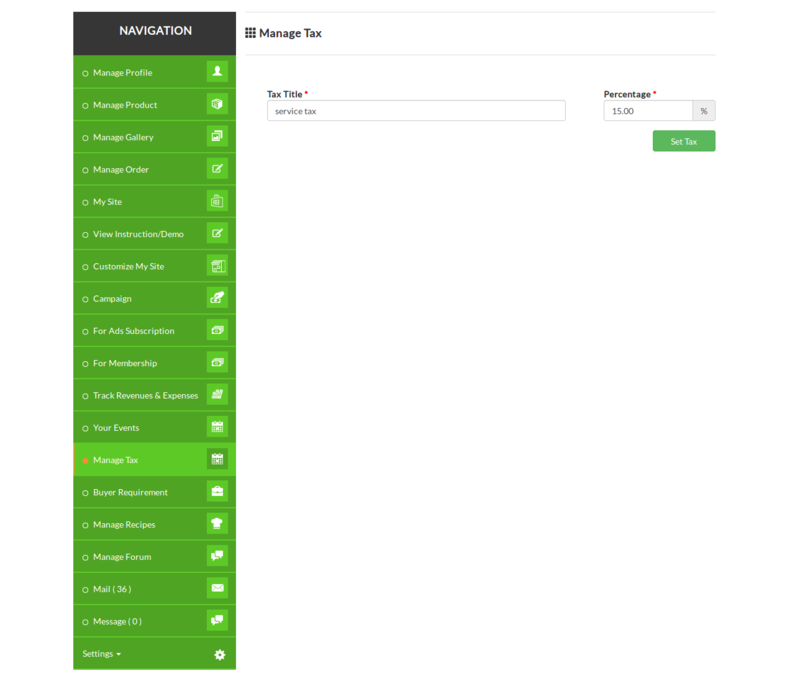 A registred user can change their password under this section. 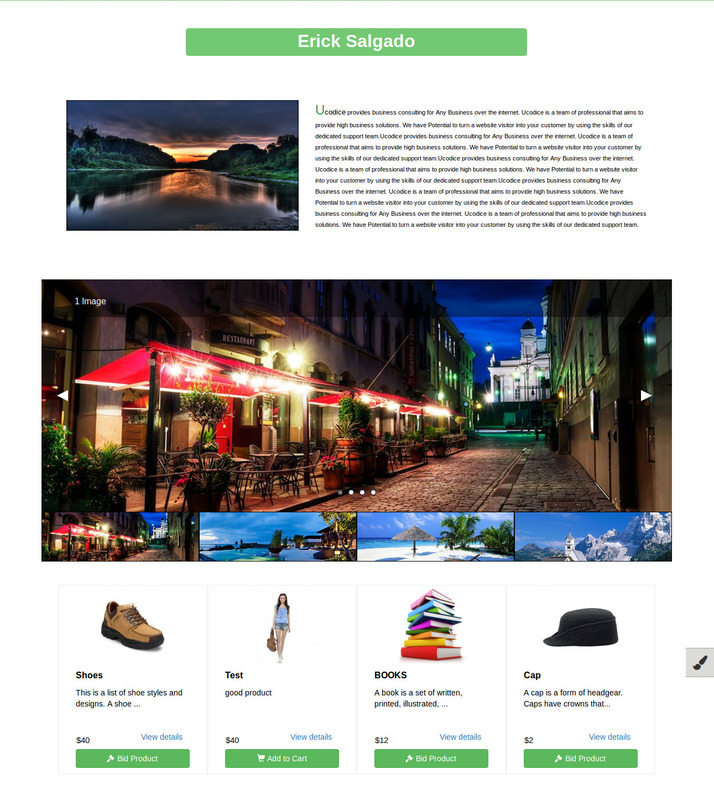 A user can search products,sellers,business from this tab. 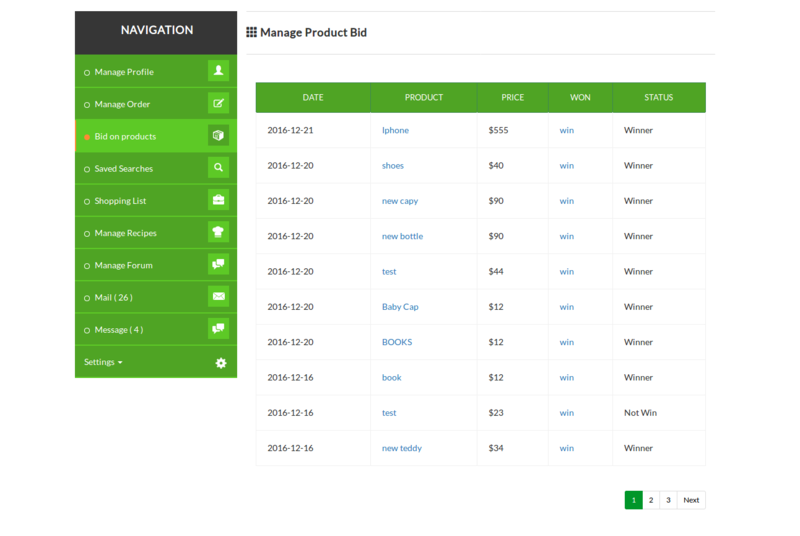 A buyer can manage bid products from this section. 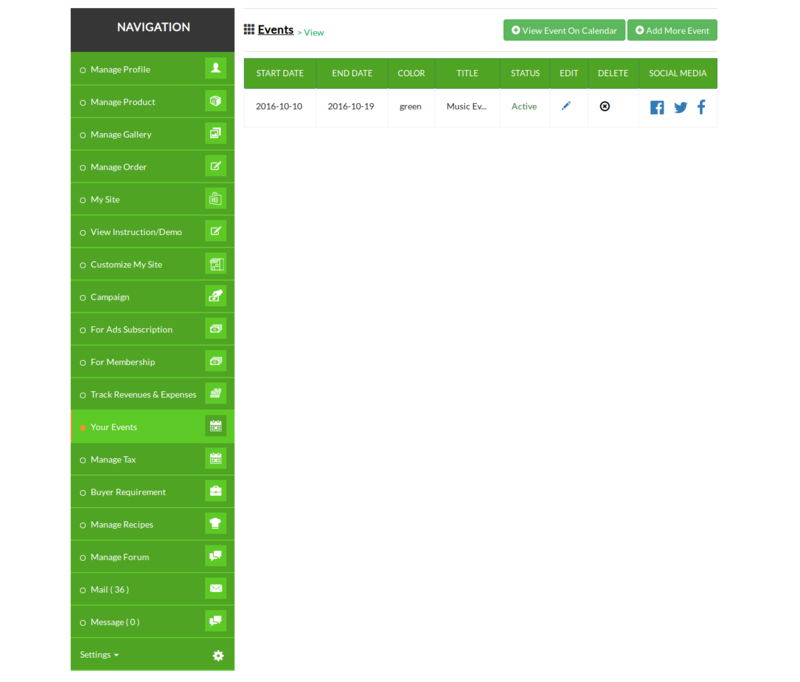 A user can view the saved search from here.